Santorini is one of the most popular Greek islands. Santorini, also known as Thera or Thira is in the southern Aegean Sea, about 120 mi southeast of Athens. It forms the southernmost member of the Cyclades group of islands. 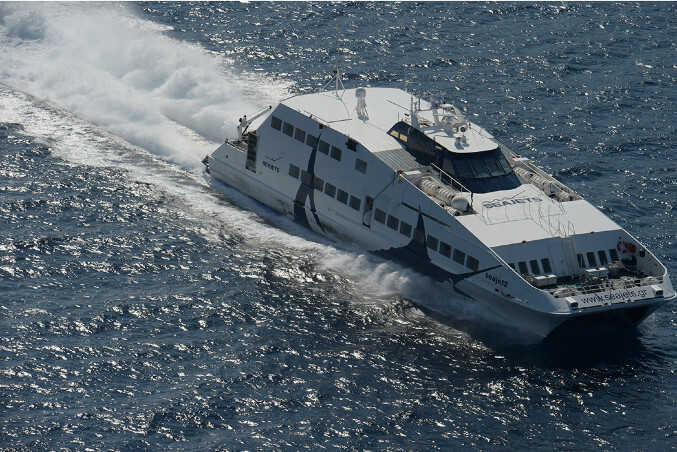 Below you will find all information on how to travel from Athens to Santorini by ferry in 2017. Athens to Santorini by ferry in 2017. The complete guide. During the summer months, there are at least four ferries every day from Athens to Santorini. There are ferry departures to Santorini both from the main port of Athens, Piraeus and the secondary one of Rafina. 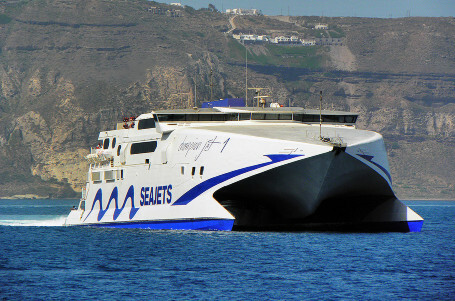 Ferry travelers to Santorini can choose between morning, afternoon or night ferries to Santorini. 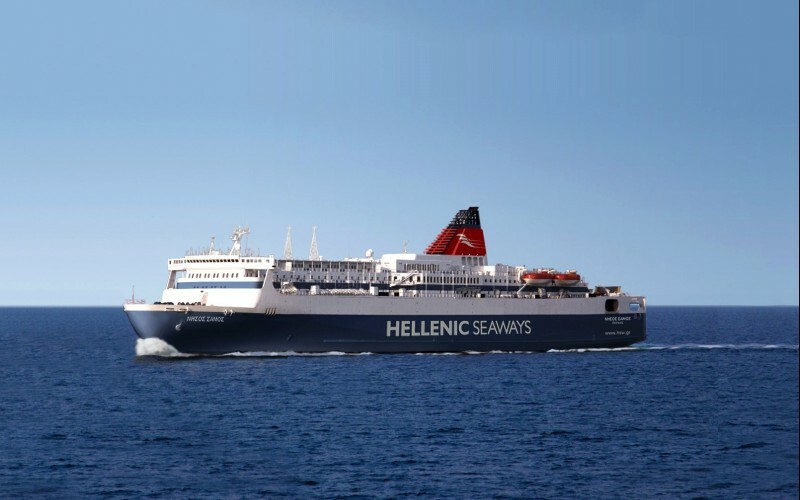 Four Greek ferry operators connect Athens to Santorini: Blue Star Ferries, Hellenic Seaways, Seajets and Aegeon Pelagos. All ferry operators have published their main 2017 ferry schedules from Athens to Santorini until at least the end of September. There might be some minor changes or new additions before the summer. Daily, all year at 07:25 with the Blue Star Delos. From 22/4 until 10/06 every Friday at 17:30 with the Blue Star Naxos. From 11/06 until 03/09 every Tuesday, Friday and Sunday at 17:30 with the Blue Star Patmos. 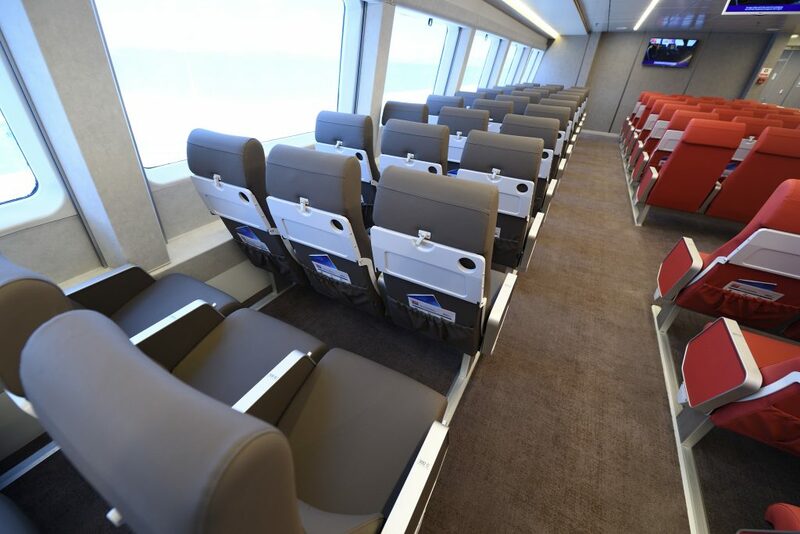 From 07/04 until 01/10 daily at 07:15 with the Highspeed 4. From 16/6 until 10/9 daily at 23:55 with the Nissos Samos. From 31/03 until 15/06 & from 11/09 until the end of September every Monday – Wednesday – Thursday – Friday at 16:30 with the Nissos Samos. From 24/03 until 28/04 & from 16/10 until 31/10 daily at at 07:00 with the Seajet 2. From 29/04 until 15/10 daily at 07:00 with the Superjet or the Champion jet 1. From 29/04 until 15/10 daily at 07:00 with the Seajet 2. From 01/06 until 18/09 daily at 15:30 with the Paros Jet. From 19/05 until 31/05 daily except Sundays at 15:45 with the Superjet (this schedule is not officially published yet but we expect it soon). Athens has two ports: Piraeus, the main port and Rafina, a secondary port on the Northeastern coast of Attica. From the Athens airport: Take the express bus X96. 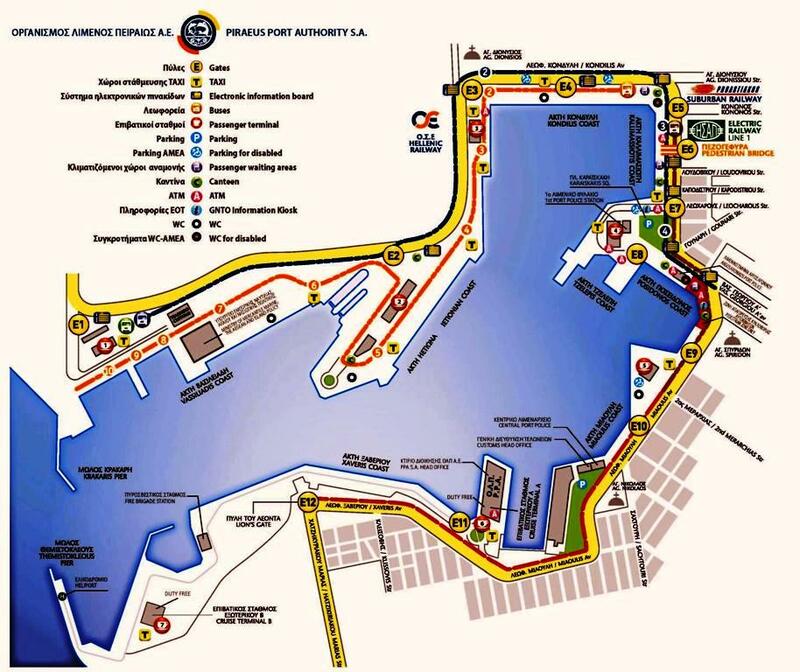 It takes you directly to the port, its frequent, cheap and quite fast. It usually takes between 60 and 90 minutes. The cost is 5 euros / adult. Check the timetables screens inside the airport. The x96 bus stop is just outside the arrivals level at the airport (check the signs). At the port, the stop is near gate E6 (also close to the metro station). If you choose to take a taxi, it will cost you 50-60 euros and it will take you around 60 minutes. From Syntagma Square to Piraeus : Bus 040, Piraeus bus stop: Korai Square (close to Dimotiko Theatro) and then 10 minutes walk until gate E9. We can arrange a private transfer for you from your hotel in Athens to Piraeus port or from the Athens airport to the port. You can also book it online via danae.travel together with your ferry tickets. Note There is a port bus connecting departure gates. Rafina, the secondary port of Athens, is on the Northeastern coast of Attica. It is further out from the center of Athens but closer to the airport. Rafina is convenient for travelers traveling to the Northern Cyclades islands of Andros, Tinos and Mykonos as the travel time is shorter. It is also convenient for those catching a ferry a couple of hours after their arrival at the Athens airport and who wish to avoid the center of Athens. If your ferry departs Rafina early in the morning, spending a night in Rafina could be smart. The Avra hotel is right next to the port. Reaching Rafina from the center of Athens with public transport is not very convenient. How long is the ferry ride from Athens to Santorini? In brief: Ferries to Santorini take between 5 and 8 hours. With a conventional ferry its around 8 hours and with a high speed ferry between 5 and 6 hours. The Blue Star Ferries morning schedule takes about 7h30min and departs Athens, Piraeus port at 07:25 and arrives in Santorini at 14:50. On the way it stops in the islands of Paros and Naxos. It’s afternoon schedule takes a little over 8 hours and departs Athens, Piraeus port at 17:30 and arrives in Santorini at 02:10 next morning. On the way it stops in the islands of Syros, Paros, Naxos and Ios. The Hellenic Seaways morning schedule from Athens, Piraeus port takes about 4h45min and departs at 07:15 and arrives in Santorini at 12:00. On the way it stops in the islands of Sifnos and Ios. Its morning schedule from Athens, Rafina port takes about 6 hours and departs at 07:20 and arrives in Santorini at 13:25. On the way it stops in the islands of Tinos, Mykonos, Paros and Ios. It’s night schedule from Athens, Piraeus port, takes almost 9 hours and departs Athens, Piraeus port at 23:55 and arrives in Santorini at 08:55 next morning. On the way it stops in the islands of Paros and Naxos. 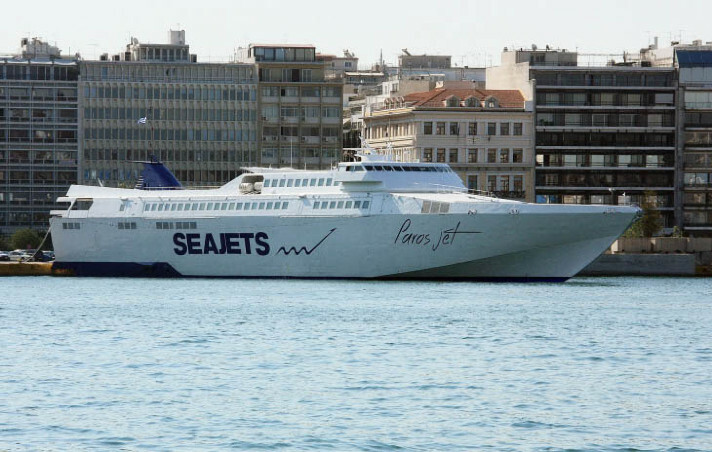 Seajets operates two morning schedules from Athens, Piraeus port to Santorini. The Champion Jet 1 takes 5 hours and departs at 07:00 and arrives at 11:55 with stops in the islands of Mykonos and Naxos. The SeaJet 2 takes 5h30min and also departs at 07:00 and arrives at 12:30 with stops in the islands of Sifnos, Milos, Folegandros and Ios. The Seajets afternoon schedule from Athens, Piraeus port to Santorini takes a little over 6 hours and departs at 15:30 and arrives in Santorini at 21:40 with stops in the islands of Serifos, Sifnos, Milos, Folegandros and Ios. Its schedule from Athens, Rafina port in May is not yet officially published. Its expected to take about 5 hours and depart at 15:45 and arrive at 21:25 with stops in the islands of Tinos, Mykonos, Paros, Naxos and Ios. The Aegeon Pelagos evening schedules to Santorini take approximately 9 hours with stop in the island of Milos. 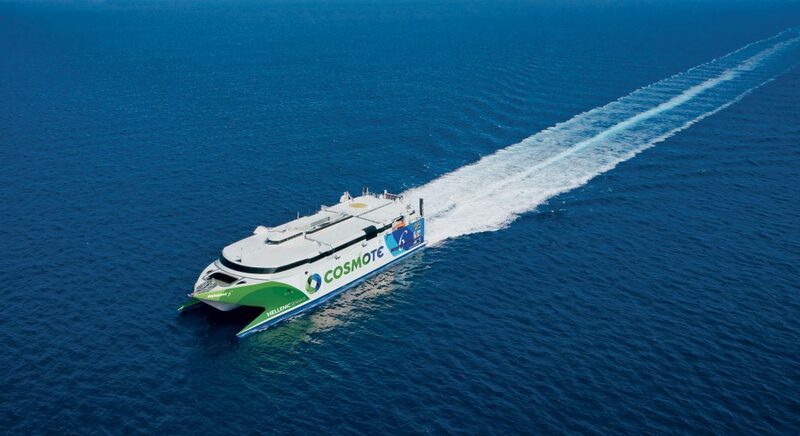 Which is the fastest ferry from Athens to Santorini? 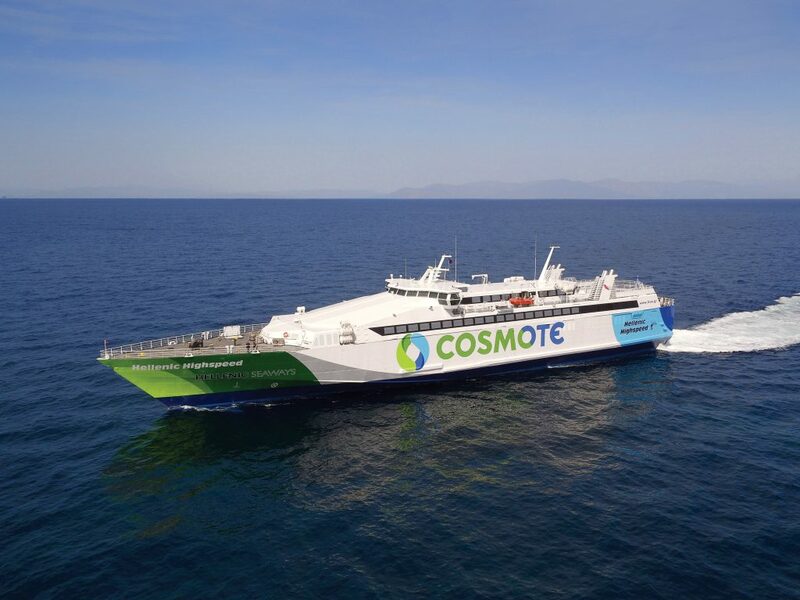 According to published information by the ferry operators, the fastest ferries from Athens to Santorini are the Highspeed 6 and the Champion Jet 1. How much is the ferry from Athens to Santorini? In brief: The cost for a large conventional ferry from Athens to Santorini starts at 40 euros and for a high speed one at 56 euros. External 4 bed cabin: 64,00 euros per bed. External 2 bed cabin: 71,00 euros per bed. External 3 or 4 bed cabin: 63,00 euros per bed. External 2 bed cabin: 91,00 euros per bed. 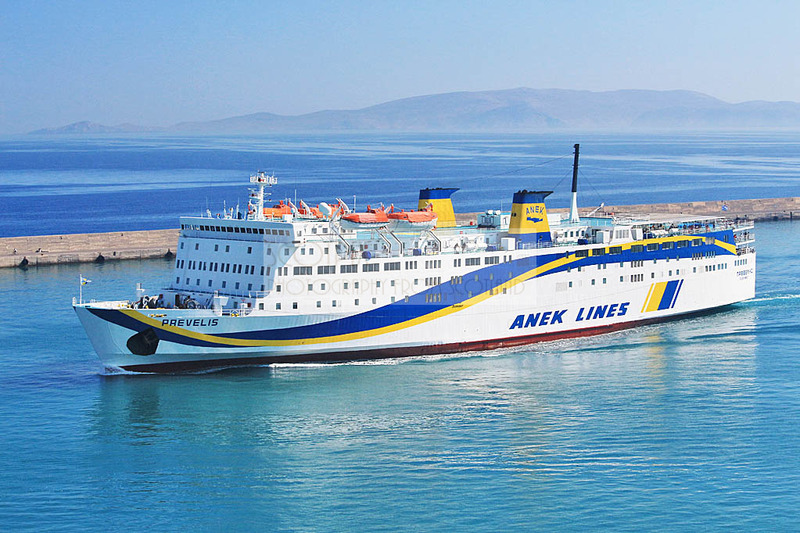 Which is the cheapest ferry from Athens to Santorini? The cheapest way to travel from Athens to Santorini by ferry is to take a conventional slow ferry. Blue Star ferries, Hellenic Seaways night ferry and Aegeon Pelagos offer the cheapest accommodation between 38 and 40 euros per person in economy. 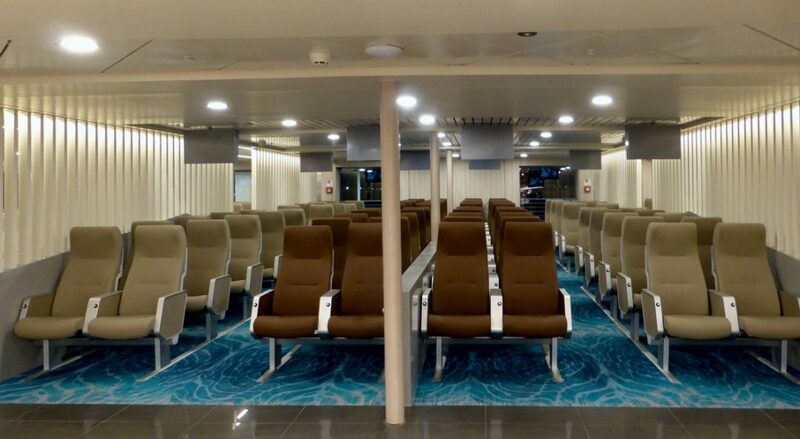 On slow conventional ferries there are more facilities like lounges, cabins, a dinning area, a shop, etc. You are able to go outside, walk around the different internal and external areas and in general have a more relaxed journey. Also, slow conventional ferries are more seaworthy than smaller fast ones. 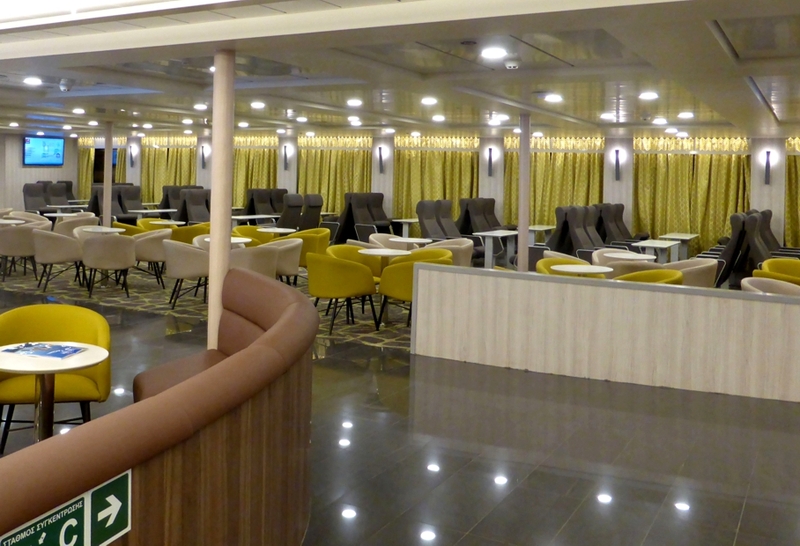 Both Blue Star and Hellenic Seaways operate modern vessels offering very comfortable accommodation. If you are traveling with small children, there is more space for them to move around and explore. Conventional slow ferries are cheaper that high speed ferries. Large catamarans like the Highspeed 6 and the Champion Jet which also take vehicles. Large mono-hauls like the Hellenic Highspeed and the Paros Jet. Smaller passenger only hydrofoils like the Seajet 2. 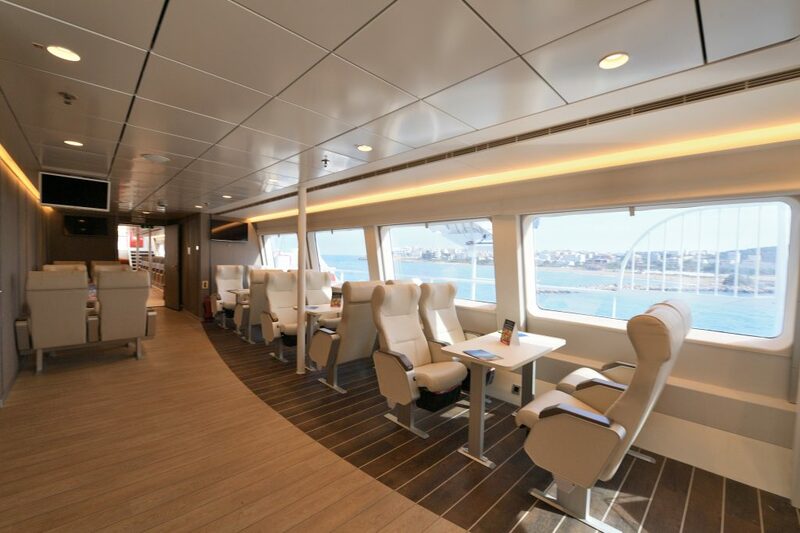 On these high speed ferries, passengers cannot go outside. All seats are numbered airplane type seats. The large ones are quite sea worthy, but still worst that large conventional ones. 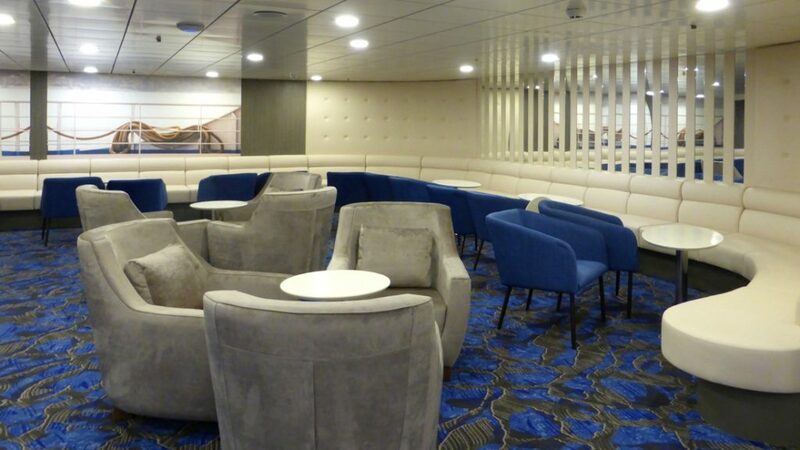 Both Hellenic Seaways and Seajets have a bar offering snacks and beverages. 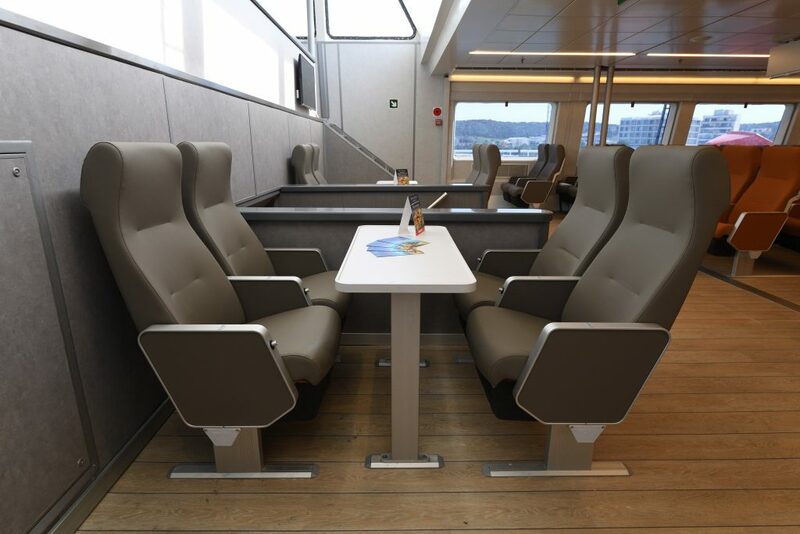 If you choose a small hydrofoil and the sea is rough, get ready for a bumpy ride. To see a 360 tour of the Champion Jet 1 click here. Which other Greek islands is Santorini connected to?